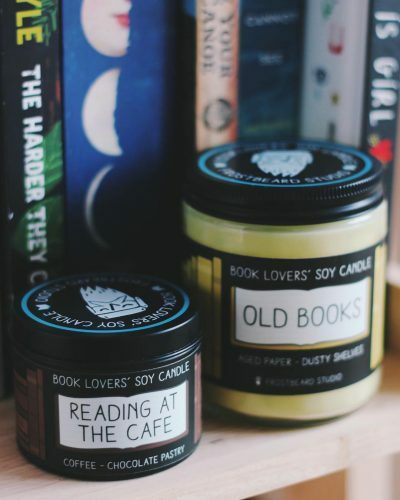 Frostbeard Studio’s Book Lovers’ Soy Candles are handmade with love and care, each scent is completely original and inspired by books and the joy of reading. Don’t we all love the smell of old books? But not the rotten, mildewy kind – the sweet, papery sort. 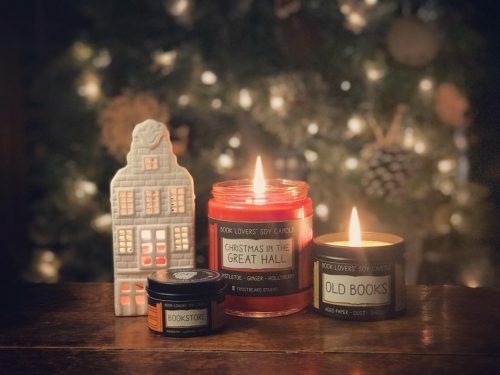 This soft, comforting scent makes you want to curl up in your favorite reading chair and leaf through stacks of worn, well-loved stories. Vanilla overtones transform into a lovely, complex aroma when melted. Looking for a mustier version of Old Books? Try Book Cellar! Or indulge in ‘Reading at the Cafe‘, one of the greatest trifectas of all time. This fragrance is the perfect way to pretend you’re lounging at the coffee shop when you’d rather snuggle up at home with your cat and current read. Sign up as a BuyandShip member today and get your items shipped to our US warehouse, and we will have your private library of books shipped back to you in no time!